Uptime Institute’s Tier Classification System for data centers has reached the two-decade mark. Since its creation in the mid-1990s, Tiers has evolved from a shared industry terminology into the global standard for third-party validation of data center critical infrastructure. In that time, the industry has changed, and Tiers has evolved with it, remaining as relevant and important as it was when Uptime Institute first developed and disseminated Tiers. At the same time, Uptime Institute has observed that public understanding of Tiers has been clouded by the many myths and misconceptions that have developed over the years. Uptime Institute has long been aware that not everyone fully understands the concepts described by the Tier Standards, and yet others disagree with some of the definitions. Both these situations lead to classic misunderstandings in which individuals substitute their preferences for accurate information. Other times, however, marketers have invoked a kind of shorthand based on Tiers. While objectionable, these marketers have coined terms like Tier III plus when speaking to their potential customers. These terms have no basis in Tiers but can be especially confusing to IT, real estate, procurement personnel, and even CFOs, all of whom might lack a technical background. Other myths develop because some industry professionals reference old, out-of-date publications and explanatory material that is no longer valid. There may be other sources of myth, but knowing that the Uptime Institute is the only source of current and reliable information about Tiers is what is really important. We conduct numerous classes during the year, write many articles, and eld numerous inquiries to keep the industry current on Tiers. Fundamentally, Uptime Institute created the Tier Classification System to consistently evaluate various data center facilities in terms of potential site infrastructure performance, or uptime. The system comprises four Tiers; each Tier incorporates the requirements of the lower Tiers. Data center infrastructure costs and operational complexities increase with Tier level, and it is up to the data center owner to determine the Tier that fits the business’s need. Uptime Institute is the only organization permitted to Certify data centers against the Tier Classification System. Uptime Institute does not design, build, or operate data centers. Uptime Institute’s role is to evaluate site infrastructure, operations, and strategy. From this experience, we have compiled and addressed many of the myths and misconceptions. You can read about some of these experiences in Uptime Institute eJournal articles such as “Avoid Failure and Delay on Capital Projects: Lessons from Tier Certification” and “Avoiding Data Center Construction Problems.” For even more information, please contact us at https://uptimeinstitute.com/contact. Tiers does not address business requirements. False. Tiers is a performance-based, business-case-driven data center benchmarking system. An organization’s risk tolerance determines the appropriate Tier for the business. In other words, Tiers is predicated on the business case of an individual company. Companies that fail to develop a unique business case for their facilities before developing a Tier objective are misusing Tiers and bypassing the internal dialogue that needs to occur. Tier IV is the best. False. An organization’s tolerance for risk determines the appropriate Tier to support the business objective. Tier IV is not the best answer for all organizations, and neither is Tier II. Owners should perform due diligence assessments of their facilities before determining a Tier objective. If no business objective is defined, then Tiers may be misused to rationalize unnecessary investment. Tier I and Tier II are tactical solutions, usually driven more by first-cost and time-to-market than life-cycle cost and performance (uptime) requirements. Organizations selecting Tier I and Tier II solutions typically do not depend on real-time delivery of products or services for a significant part of their revenue stream. Generally, these organizations are contractually protected from damages stemming from lack of system availability. Rigorous uptime requirements and long-term viability are usually the reason for selecting strategic solutions found in Tier III and Tier IV site infrastructure. In a Tier III facility, each and every capacity component can be taken out of service on a planned basis, without affecting the critical environment or IT processes. Tier IV solutions are even more robust, as each and every capacity component and distribution path can sustain a failure, error, or unplanned event without impacting the critical environment or IT processes. A Tier IV solution is not better than a Tier II solution. The performance and capabilities of a data center’s infrastructure should match a business application; otherwise companies may overinvest or take on too much risk. For example, before building a Tier II Certified Constructed Facility, which by definition does not include Concurrent Maintainability across all critical subsystems, an owner should consider whether the business can tolerate a planned or maintenance-related shutdown and how the site operations team would coordinate a site-wide shutdown for maintenance. Similarly business objectives should drive decisions to build a Tier I, Tier III, or Tier IV Certified Constructed Facility. Component count determines Tier level. False. Tier Certification is a performance-based evaluation of a data center’s specific infrastructure; it is not a checklist or cookbook. Unfortunately, some industry shorthand employs N terminology—where N is de ned as the number of components that are minimally required to meet the load demand—to define availability. Incorporating more equipment can be described as designing an N+1, N+2, 2N, or 2(N+1) facility. However, increasing the component count does not determine or guarantee achievement of any specific Tier level, because Tiers also includes evaluation of distribution pathways and other system elements. 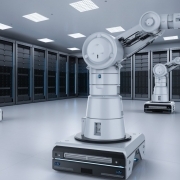 Therefore, it is possible to achieve Tier IV with just N+1 components, depending on how they are configured and connected to redundant distribution pathways. Design Certification is the only Certification that matters. False. The first step in a Tier Certification process is a Tier Certification of Design Documents. Uptime Institute Consultants review the 100% design documents, ensuring each electrical, mechanical, monitoring, and automation subsystem meets the fundamental concepts and there are no weak links in the chain. The Design Certification is intended to be a milestone so that data center owners can commence data center construction knowing that the intended design meets the Tier objective. Tier Certification of Design Documents applies to a document package. It is intended as provisional verification until the Tier Certification of Constructed Facility. Uptime Institute has not verified the constructed environment of these facilities, and thus cannot speak to the standard(s) to which they were built. To emphasize this point, Uptime Institute implemented an expiration date on Design Certifications. All Tier Certification of Design Documents awards issued after 1 January 2014 expired two years after the award date. During a Facility Certification, a team of Uptime Institute consultants conducts a site visit, identifying discrepancies between the design drawings and installed equipment. The consultants observe tests and demonstrations to prove Tier compliance. Fundamentally, this is the value of the Tier Certification, finding these blind spots and weak points in the chain. Uptime Institute consultants say that in almost every site visit they find that changes have been made after the Design Certification was awarded so that one or more systems or subsystems will not perform in a way that complies with Tier requirements. More recently, Uptime Institute instituted the Tier Certification of Operational Sustainability to evaluate how operators run and manage their mission-critical facilities. Even the most robustly designed and constructed facilities may experience outages without a well-developed comprehensive management and operation program. Certification at all three levels is how data center owners can be assured they are realizing the maximum potential of their data centers. Tier levels specify an estimated downtime per year. False. Uptime Institute removed references to “expected downtime per year” from the Tier Standard in 2009, but they were never a part of the Tier definitions. Tier Standard: Topology is based on specific performance factors (outcomes) that demonstrate that a facility has met specific performance objectives, such as having redundant capacity components, Concurrent Maintainability (generally, the ability to remove any capacity or distribution component from service on a planned basis without impacting IT), or Fault Tolerance (generally, the ability to experience any unplanned failure in the site infrastructure without impacting IT). However, even a Tier IV data center, which is Fault Tolerant, may experience IT outages if it is not operated and managed effectively. There are statistical tools to predict the frequency of failures and time to recover. Availability is simply the arithmetic calculation of time a site was available over total time. The number, frequency, and duration of disruptions will drive the availability result. However, caution is appropriate when using these tools. Human activity is often not considered by statistical models. In addition, the statistical prediction of a 100-year storm, for example, can obscure the possibility that several 100-year storms can happen in the same year. Tier Certification applies only to newly built facilities. False. Uptime Institute has Certified many existing buildings. However, the process can be more challenging when working in facilities with live loads. For best results with an existing facility, the process should begin with a Tier Gap Analysis rather than a formal Certification effort. Tier Gap Analysis provides a high-level summary review for major Tier shortfalls. This allows the owner to make an informed decision whether to proceed with a detailed, exhaustive Certification effort. Tier Certification of Constructed Facility can be performed with any load profile, including resistive load banks, live critical IT load, or a mix. Uptime Institute Tiers is U.S.-centric. False. Uptime Institute is currently delivering Tier Certifications in more than 85 countries. Tiers, which allows for many solutions and a variety of configurations, gives the design, engineering, and operations teams the flexibility to meet both local regulations and performance requirements. To date, there has not been a conflict between Tiers and local building codes, statutes, or jurisdictions. TIA-942 is a guideline for Uptime Institute Tiers. False. In 2014 Uptime Institute and the Telecommunications Industry Association (TIA) agreed on a clear separation between their respective benchmarking systems to avoid industry confusion and drive accountability. In fact, any reference to the TIA rating of a data center may not include the word Tier. The core objective of Uptime Institute Tiers is to define performance capabilities that will deliver availability required by the data center owner. By contrast, TIA member company experts focus on the need to support the deployment of advanced communications networks. See https://uptimeinstitute.com/uptime-tia for a more detailed explanation. Utility feeds determine Tier level. False. According to Tier Standard: Topology, the only reliable source of power for a data center is the engine- generator plant. This is because utility power is subject to unscheduled interruption—even in places with reliable power grids. As a result, the number of utility feeds, substations, and power grids that provide public power to a data center neither predicts nor influences Tier level. As a consequence, utility power is not even required for Tiers. Most Tier Certified data centers use utility power for main operations as an economic alternative, but this decision does not affect the owner’s target Tier objective. For Tier III and IV, the engine-generator plant must be operational at all times. False. Tiers does not require that the engine-generator plant actually run at all times; however, data centers will typically utilize a public utility a majority of the time for cost or regulatory reasons. At the same time, the engine-generator plant must be properly configured, rated, and sized to have the capability to carry the critical load without runtime limitations. Hence, the performance requirements outlined in the Tier Standard must be met with the data center supported by engine-generator power. Meeting these criteria requires special attention to engine-generator capacity ratings and power distribution. Uptime Institute’s Tier system is based on the U.S. Environmental Protection Agency (EPA) regulations on diesel-engine operations. False. There is no correlation between EPA’s Tiers (or other restrictions of engine-generator operation) and Uptime Institute Tiers, except that both systems use a similar hierarchical system of nomenclature. The EPA’s limits on runtime may complicate a facility’s testing and maintenance regimens and add costs when a facility is forced to rely on backup power for an extended period. However, runtime limitations posed by local authorities do not exempt a data center from having on-site power generation rated to operate without runtime limitations at a constant load. EPOs (emergency power off) or other systems that shut down the critical load impact Tier objectives. False. When code or the local authority having jurisdiction (AHJ) mandate an EPO, this does not prohibit Tier compliance. At the same time, Uptime Institute does not recommend EPO installation, unless it is compelled by a local code because even Tier Certified data centers are vulnerable to outages from purposeful or accidental activation of the EPO system. Analysis of the Uptime Institute Network’s Abnormal Incident Report (AIRs) database confirms that accidental EPO activation is a recurring cause of downtime. The Tiers Standard requires that maintenance, isolation, and/or removal can be performed on the EPO system without affecting the critical load for Tier III data centers. Tier IV data centers additionally require a Fault Tolerant EPO system. Uptime Institute Tiers requires raised floor. False. The choice of under floor or overhead cooling is a decision to be made by the owner based an operational preference. In Uptime Institute’s experience, a raised floor enhances operational flexibility over the long term. Yet, decisions such as raised floor or on-slab, Cold Aisle/Hot Aisle, containment of Cold Aisle/Hot Aisle, and gallery cooling can affect the efficiency of the computer room environment, but are not mandated by Uptime Institute Tiers. Rack-based automatic transfer switches (ATS) meet the requirement for dual paths to a server (i.e., the server has one cord to the ATS, but the ATS [rack mount] has dual power feeds). True. The Tier Standard includes a concession for equipment with odd numbers of cords (1,3,5) in the form of rack-mounted transfer switches to provide access to multiple power paths. However, Tier III and Tier IV data centers must still have multiple and independent feeds to the rack. The Tier Standard focuses on ensuring that the facility’s infrastructure meets the requirements of the Tier objective. There are many reasons why a facility may contain single-corded IT devices or those with an odd number of power supplies, including lack of knowledge of the facility impacts, lack of options for equipment vendors, and colocation environments where facility personnel have no control over the types of IT devices within the data center. Rack-based transfer switches are most typically supplied by the IT side of the organization, so the facility’s infrastructure can meet the Tier objective. However, planned isolation or fault of these rack-based transfer switches may lead to an outage for individual racks or devices. Tier II provides Concurrent Maintenance opportunities. but not switchboards, panels, transfer switches, transformers, bus bars, cables, and pipes. In many cases, this limitation will require the computer room to be shutdown for planned maintenance or replacement of critical pathways and elements. The requirement to maintain any component, pathway, or element without shutting down equipment, known as Concurrent Maintainability, defines Tier III. Many owners’ business cases, including healthcare, domestic outsourcers, and state governments, require Tier III. The list of organizations that have protected their investment with Tier Certifications may be found on Uptime Institute’s website. A Tier III facility is Tier compliant if one of the redundant branches is inactive. Partially true. Tier III requires active/active distribution for critical power distribution (which is defined as the output of the UPS and below). Outside of that, active/inactive is acceptable. This means that if a rack receives dual power from two separate power distributions, they must both normally be active. It is not allowable to have one feed normally disabled, nor is it Tier III compliant to have one of the power feeds directly fed from utility power while bypassing a UPS power source. There are no active/active requirements for mechanical systems in Tier III data centers. So if there are N+1 chillers in a Tier III facility, with each chiller feeding separate A and B chilled water loops, it is permissible for one of the loops to be normally disabled, with all air conditioners normally fed from the same loop. Facilities can’t be changed after Tier Certification of Constructed Facility. False. Infrastructure changes must be approached using carefully developed and written procedures and processes. If the topology of a facility changes, it may no longer be Concurrently Maintainable or Fault Tolerant, so clients should have Uptime Institute review designs and construction that might affect a facility’s topology to protect their investment and Tier Certification. Tier Certifications can be revoked if unreviewed changes compromise a facility’s Concurrent Maintainability or Fault Tolerance. A Tier IV facility must have all its cooling units operating. Mostly false. The Tier Standard requires only that Tier IV facilities provide stable cooling to the IT and UPS environment for the time it takes for the mechanical systems to completely restart after a utility power outage and provide rated load to the data center. Tier IV data centers must also be able to maintain a stable thermal environment for the duration of the mechanical restart time and for any 15-minute period in accordance with the 2015 ASHRAE Thermal Guidelines. Tier IV facilities are also required to be active/active for all systems. This is intended to ensure that Continuous Cooling solutions are not negated by a lack of active operation of components. A lightly loaded data center or one with a very complex control system may be able to meet these requirements, without using all the available cooling units. However, there are Tier IV data center designs, especially those at full load, that would in fact require all units to run during normal operations. Makeup air capacity counts as critical cooling capacity. Data centers are rarely designed in a manner that require the makeup air handler to be active in order to meet the N cooling capacity requirement. However, the existence of a makeup air handler and its operations cannot negatively impact compliance with Tiers. For example, if a makeup air handler is not sized to ASHRAE extremes in compliance with Tiers, the additional heat load from this air handler at those conditions must be considered when sizing the critical cooling system. It is not possible to utilize diesel rotary uninterruptible power systems (DRUPS) as continuous cooling in a Tier IV facility. False. The Tier Standard is vendor and technology neutral, which means it is possible to Tier Certify facilities that include a wide variety of innovative and new technologies, including DRUPS. Facilities tend to deploy DRUPS, which combine a diesel engine and a rotary UPS that uses kinetic energy to eliminate batteries, which require high levels of maintenance, somewhat frequent replacement, and a lot of extra space for battery placement/storage. This design usually provides ride-through times of between 10-30 seconds, depending on the application, which is shorter than other technologies. The Tier Standard does not include a minimum ride-through time. In fact, Uptime Institute has Certified several facilities that include DRUPS technology. DRUPS may also be used to power motor loads. That means that caution must be exercised to ensure that the DRUPS have sufficient capacity to power each and every system and subsystem, including cooling systems, which is accomplished by putting the mechanical components on a no-break bus. Ductwork does not need to comply with the Tier requirements. False. Tier Certification analyzes each and every system and subsystem down to the level of valve positions and panel feeds. Ductwork, just like piping systems, may need planned maintenance, replacement, or reconfiguration. As such, traditional ductwork distribution systems must meet the requirements of the Tier objective. Uptime Institute understands that there is a lot of confusion about what “maintaining” ductwork means to meet Concurrently Maintainable requirements. But in this case, Concurrent Maintainability is about having the capability to isolate a system or part of a system to maintain, repair, upgrade, or reconfigure the data center without impacting any of the computer equipment. Site Location affects Tier level. False. Although a critical consideration for the life-cycle operation of the facility and in determining, evaluating, and mitigating risk to the data center, geographical location does not affect a facility’s Tier level and is not part of the Tier Standard: Topology. Data center designers can take precautions to address the specific risks of a site. A data center sited in a high-risk earthquake zone can include equipment that has been seismically rated and certified as well as incorporate techniques that mitigate damage from seismic activity. Or if a data center has been sited in a high-risk tornado area, designers can consider wind protection measures for the exterior electrical and heat rejection equipment. Site Location is a criterion in the Tier Certification of Operational Sustainability. Chris Brown, Enrique Hernandez, Kevin Heslin, Julian Kudritzki, Eric Maddison, Ryan Orr, Sarah Thomas, Pitt Turner, and Rich Van Loo all contributed to this article.